The ONE PRODUCT I use in my home Every. Single. Day. 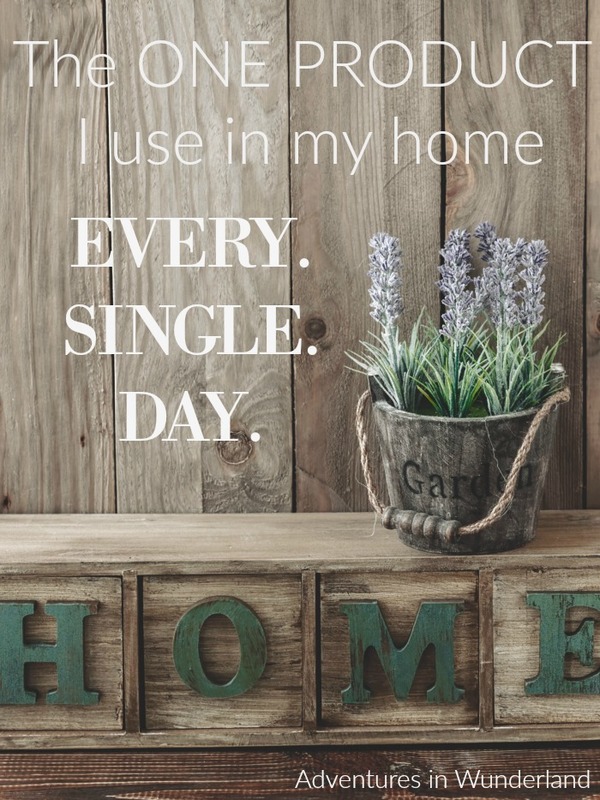 You are here: Home / Homemaking / Clean & Organize / The ONE PRODUCT I use in my home Every. Single. Day. Most days, I wake up very early in the morning. Oh, who am I kidding, I have four kids so I wake up EVERY day very early in the morning. The alarm goes off (or the baby starts to cry) and I head straight for the kitchen. I prepare my coffee and as it begins to brew I move over to my diffuser. Clarity? Grounding? Abundance? What will I need for today? I set my diffuser and go about my daily routine. As I shower I add a bit of tea tree oil to my shampoo, not every day, but often enough to get rid of any build-up. I get dressed but before I apply my make-up I dab on a bit of grapeseed oil with Frankinsence, Lavender, and Lemon – I don’t use store bought creams. I brush my teeth with a drop of Thieves so that my teeth are white and my mouth is fresh. The children dress and it’s time for school. Focus. They need focus. They come to me to apply their special blends and off they go. My day continues. Errands, work, and daily chores. We wash laundry with a homemade detergent and I wipe the counters with an all natural cleaner. My day is busy and my afternoon requires a pick-me up -Ningxia Red. Every afternoon I drink my two ounces of Ningia Red, it keeps me healthy, gives me a boost, it supplies the Iron I so desperately need, and keeps my digestive health on track. The kids come home from school. Time to switch out my diffuser. Something Calming. Ylang Ylang? Lavender? Cedarwood? They continue with their homework and get ready for their evening activities. As the day winds down the children take their baths and I get the baby ready for bed. One of them has the sniffles and needs respiratory support so I apply a chest rub, not the store bought kind full of chemicals but an all natural one. Lavender for everyone else and off to dream land they go. My day is done. I have cared for my children and my home with just one product. A product that is natural. A product that is chemical free. A product so versatile that I can take care of my cleaning, my bath and beauty routines, and our immune and emotional health. A product where I know exactly what I am using and where it came from and I don’t have to worry about what else might be lurking inside. Essential Oils. That is the one product that I use in my home Every. Single. Day. The excerpt above is just a snapshot of how we use essential oils. It shows the daily uses but none of the unique or special ones. It doesn’t tell you about the blend I keep on hand to remain calm during those mommy meltdowns. It doesn’t share with you the recipes for window cleaner and personal sprays. Linen sprays and home hacks. So many uses in one, natural product. Why am I telling you this? Because it wouldn’t be fair for me to keep all of this goodness to myself. I want to let you all know that you too can clear out the chemicals and care for your family and home with one product. Essential Oils. Visit the STARTER KIT Page for more information….